“City of Angels” is no ordinary music video; it’s an eleven-and-a-half minute ode to a city where the line between success and broken dreams is razor thin. WHAT: You probably know him as an actor but Jared Leto is also the frontman for rock band Thirty Seconds to Mars. 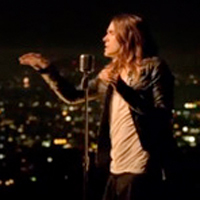 Last week the group released a music video for the song “City of Angels.” Instead of a typical video, the eleven-and-a-half minute clip features Kanye West, Lindsay Lohan, James Franco, Olivia Wilde, Steve Nash, and a slew of other celebs—as well as street performers—talking about why they love Los Angeles and the struggle to succeed here. VERDICT: This thing is made of win. What’s so amazing about it? It isn’t merely the roster of A-listers Leto scored (though that’s impressive) or how candid some of the interviewees are about their struggles, it’s the sense of inspiration the video leaves in its wake. Leto is clearly a fan of Los Angeles and this is his tribute. “City of Angels” is no ordinary music video; it’s an eleven-and-a-half minute ode to a city where the line between success and broken dreams is razor thin. Next articleRolling With The V.I.B.s (Very Important Buses) of L.A.